Photo of otters poking their heads out of a river. 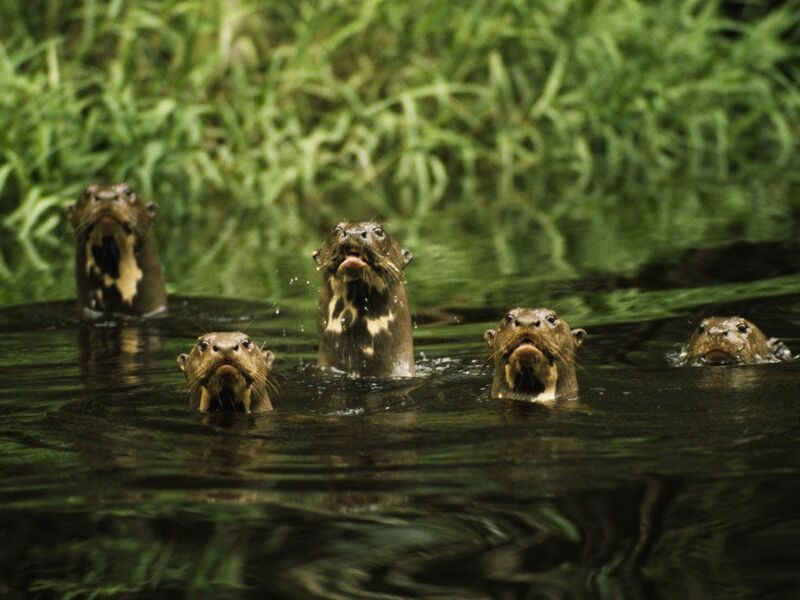 Giant river otters check out the scenery in Kapoeri Creek, Suriname. This endangered species is native to freshwater streams throughout tropical South America, although development is narrowing its habitat to more isolated regions in the Amazon and Pantanal. How Do We Clean Water?